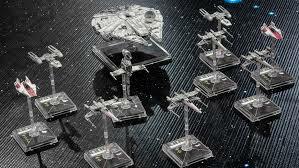 The year continues to fly by and with it, the launch of a new edition of X-wing the tabletop space combat game! Tune in as we speak with local Mole wrangler and X-Wing Nationals event organiser and streamer, Gerhard Pretorius to talk about some of the changes to the game, as well as some of the changes to come! As a bonus, we dug up some fluff review videos on some of the future ships we may see. Give them a gander! Curious to follow us on our Twitch Adventures?